Here is an email passed on to me concerning a new conservation group for NYS deer issues that I thought might be of some interest to the membership. 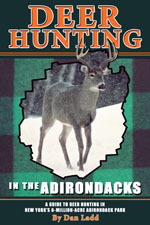 Is to positively influence deer hunting and improve habitat conditions in the State of New York. 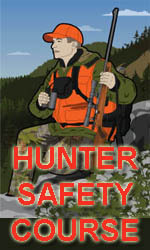 To help educate the general public about the important role that hunters play in a successful conservation program. 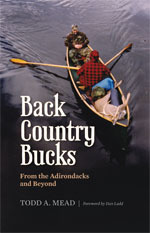 To promote friendly relations between landowners and sportsmen. To promulgate for better Environmental Conservation Laws and their enforcement. To have a positive effect on conservation issues. The association shall operate without profit, shall be non-political, and shall be non-sectarian. I have submitted an application to the NYS Conservation Council and hope that they will include us in their future conservation efforts. Anyone who is interested in better deer management, better hunting conditions and advanced conservation practices is welcome to participate in this group. 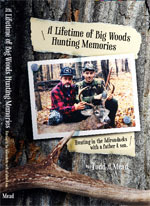 Hopefully, through organization and education we can have some influence on a better future for our hunting tradition. A Facebook page has been opened in the association's name and those others that don't Facebook will be corresponded with by emails or any other necessary means. Please encourage others to join us in our effort to organize and educate for better hunting in this, our state! You can contact me on the Kings County Deer Hunter's Association Facebook page or at my Rckmaster@aol.com email address. Please let me know, if in fact you want to be part of this group. I will delete anyone that I do NOT hear from in a timely manner or anybody that does not want to participate. I have named a Board of Directors and their names and contact points will be published shortly. ANYONE who wants to be INVOLVED or just INFORMED is welcome to participate. The more people we reach the stronger we become!